The Streets here are continually enshrouded in white mist. Steam rises from everywhere, obscuring the streets and buildings. Because coal was the only fuel available, this city developed an incredibly advanced steam technology. Unfortunately, evil-doers take advantage of this white fog to commit countless crimes and continually baffle the police. At night, the white mist shrouds the darkness, intimidating everyone. People Call this city enveloped in mist, STEAM CITY. 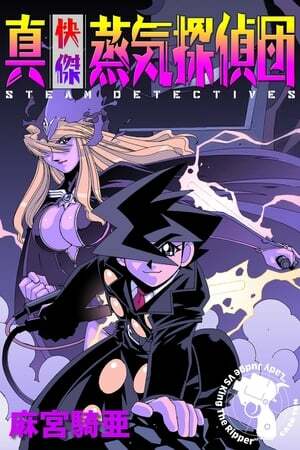 Season 1 of Steam Detectives premiered on October 7, 1998. We don't have any reviews for Steam Detectives. We don't have enough data to suggest any TV shows based on Steam Detectives. You can help by rating TV shows you've seen.